I’m always scared to look at the current date, time flies! It was already two months ago that we went on a blitz fieldwork trip to Egersund with a very special group of people. But nevertheless, good times become good memories (and especially good museum specimens) and it definitely does not get too old for a small blog about it. 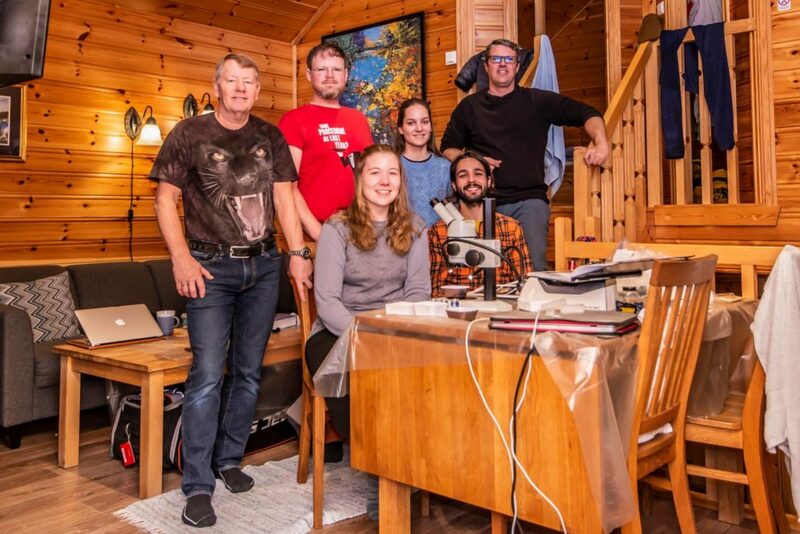 From January 17 to January 21 a small group of sea slug enthusiasts consisting of a student, citizen scientists, a collaborator and museum members rented a van and drove 7 hours down to our Southern neighbor town Egersund. 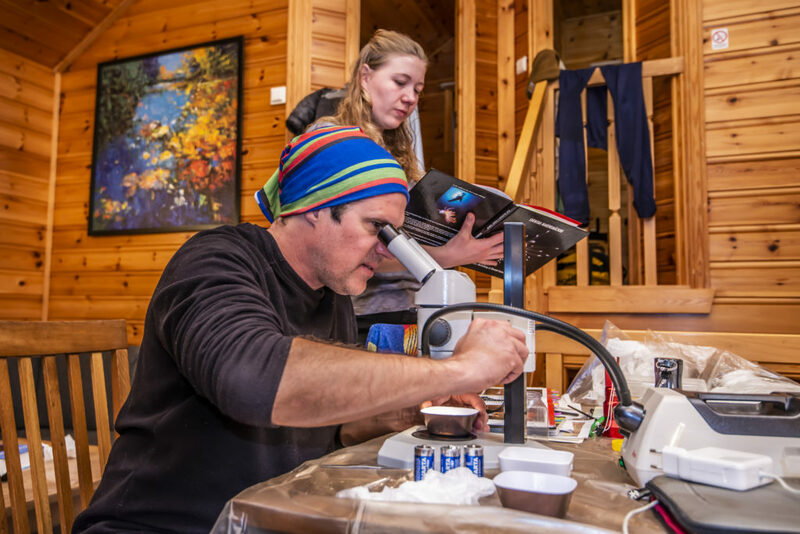 Egersund was not randomly picked as it is the home town to one of Norway’s most productive and dedicated ‘citizen scientist’; Erling Svensen. 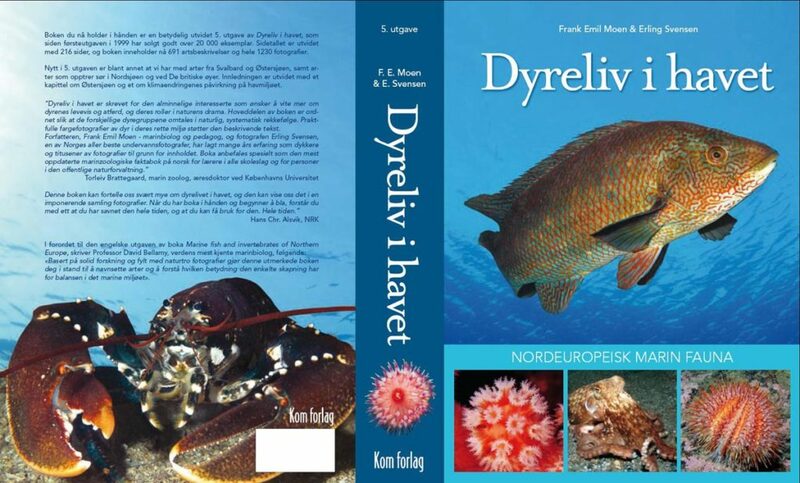 Author of a number of books and the most well-known and worldwide used ‘Dyreliv I havet – nordeuropeisk marin fauna’ (English Marine fish and invertebrates of Northern Europe), which amateurs and professionals alike use as an extensive research source. With his almost 5000 dives and counting, Erling knows the critters of the North Sea, big and small, on the back of his hand. 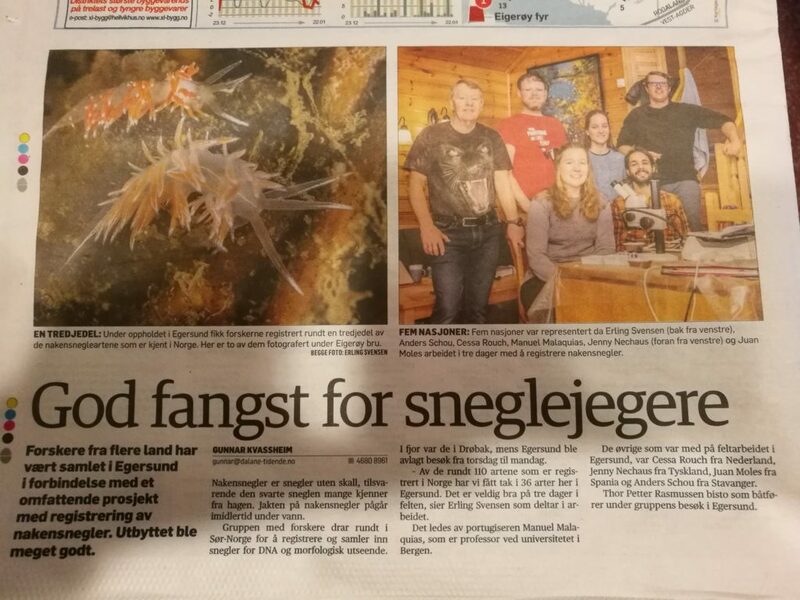 Already since the beginning of the sea slug project, Erling was helping providing valuable sea slug species, so it was about time to pay him a visit and bring our team over to make Egersund “biologically unsafe” – enough so to end up in the local news! Jenny just started her Masters in Marine Biology at the University of Bergen in the fall of 2018, she will be writing her thesis on the diversity of sea slugs from the Hordaland county and on the systematics of the genus Jorunna (Nudibranchia) in Europe. The results of this work will definitely become a blog entry of its own. Jorunna tomentosa, Jennies new pet! Photo by Nils Aukan. Two of the five days of our fieldwork were basically spendt driving up and down from Bergen to Egersund, it left us only with a good 3 days to get an overview of Erling’s backyard sea slug species. Little time as you can imagine. But time was used efficiently, as Anders and Erling are both extremely good sea slug spotters and with help of sea slug specialist Juan and the eager helping hand of Jenny, Manuel and I were able to identify and add 36 species to our museum sea slug database. So yes, all in all our Egersund fieldtrip was short but very sweet! You want to see more beautiful pictures of sea slugs of Norway! 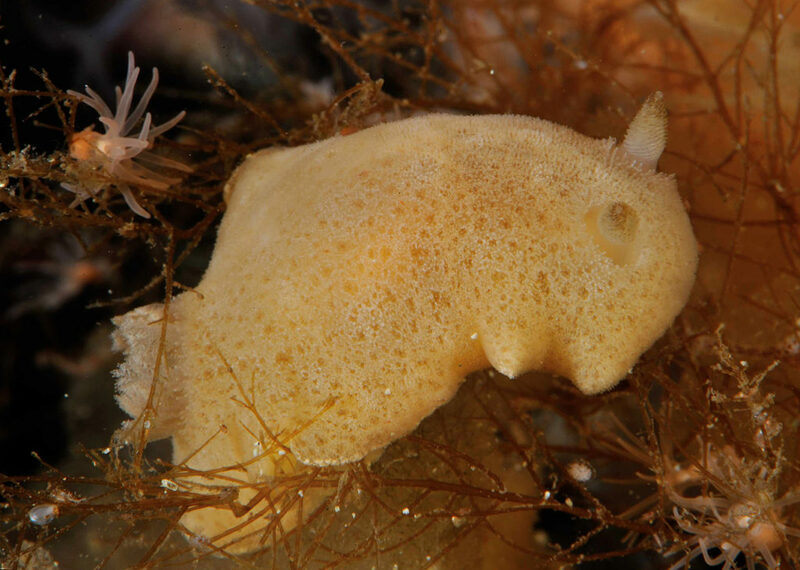 Check out the Sea slugs of Southern Norway Instagram account; and don’t forget to follow us. Become a member of the sea slugs of southern Norway Facebook group, stay updated and join the discussion. Explore the world, read the invertebrate blogs! 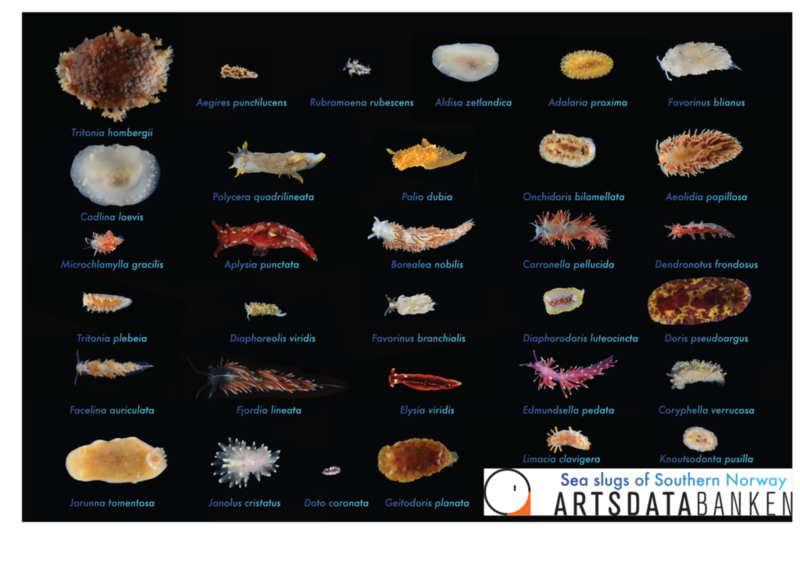 This entry was posted in Current projects, Field work, Norwegian Taxonomy Initiative, Photography, Sea slugs of Southern Norway (SSoSN), Student Projects and tagged citizen science, Mollusca, nudibranchs on April 2, 2019 by katrine.